I have a new demonstrator website that is exclusively for my Stampin Up business. This is really exciting news for those of you who follow my web site and who are Stampin Up fans. It has been provided to us by this wonderful company and will make everything really easy for you if you are looking for ideas using Stampin Up products. You'll also be able to keep up to date with all the classes and other functions I am running and if you are on my mailing list for this site, you'll receive invitations to special functions. Best of all tho' - if you want to keep up to date with all the latest Stampin Up promotions, and see the latest Catalogues on-line, you will find them on that site and if you want to order you only have to email me with your list. At this stage we do not have full functionality, but very soon everything will be running smoothly. Go ahead and check it out. Here's a quick peek at some of the graphics. 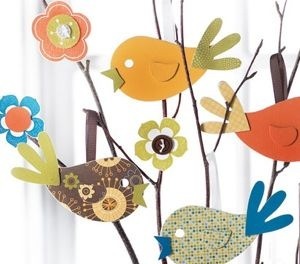 I love these little chip board owls and birds and have been making quite a few of my own, so I was thrilled when this was one of the graphics available to us. You can click on the picture too, and get to the DBWS. Don't forget to check out all the latest promotions and classes. Would you like more information about joining my team? See some of the benefits of joining my team. Just select the Start Your Own Business button and the drop down menu will give you lots of information. Then contact me with any further questions you may have. I look forward to hearing from you.